There are 60 reviews of Cèdre. Medicinal mint/cherry cough syrup with a pinch of hamster-cage cedar underneath. The tuberose is present but indirect - I wouldn't have recognized it without reading the notes. Instead, it acts as an amplification device, making everything loud and roundly floral. This stage smells surprisingly amateurish for a Lutens, in that, if you go to a decent street fair, there will be someone there selling homemade soaps scented with cobbled-together essential oils and they will have something that smells similar to this. Things change with the arrival of the clove. It comes in waxy and mixes with the essential oil smell to come across as a cheap candle. Finally, something merciful happens and this all self-corrects. The cherry cough syrup somehow turns into jasmine-inflected grape, while the essential oils smell fades into a comforting fuzzy haze, leaving a smell best described as posh, velvety grape kool-aid. This is a bit problematic in itself, as this sort of jasmine grape kool-aid smell is the topnote of literally thousands of commonplace men's mall scents, so arriving at THIS is a bit of a letdown after the previous mess. The grape kool-aid is the smell for most of the day, though a nice (but weak) base of honeyed cinnamon gingerbread eventually lingers on after the grape. In all, this seems like an awful lot of work with no real payoff. Meh. This is Serge Lutens does Le Labo, as in the name is not at all indicative of the perfume. What I smell in cedre is syrupy amber, tuberose, spices and generic wood notes, in that order. It begins with a nice promising blast of tuberose that is rich, slightly spicy (clove and cinnamon), but is soon drowned out by a syrupy amber. This amber accord dominates and prevails into the late dry down, where barely discernible sweet woody notes emerge. Sillage and duration are more than adequate. I'm always ready to look past names (what's in a name? ), but Cedre leaves me cold. There are tons of better tuberose fragrances (including one from Serge Lutens...), better amber fragrances (again, including one from Serge Lutens...) and the amber accord here is monotonous. Sure, Cedre smells nice, but is also one of the most boring scents I have encountered, especially beyond the first thirty minutes. All in all, severely underwhelming. Totally hypnotic and transportive. Very underrated. There are no member images of Cèdre yet. Why not be the first? 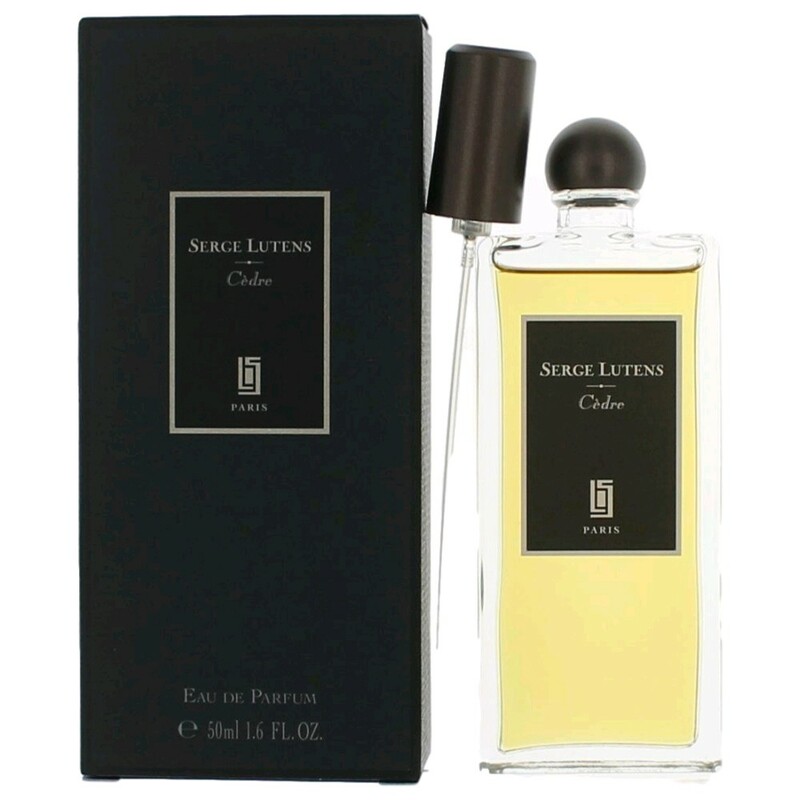 Serge Lutens Cédre, need some honest opinions and reviews from those who have used it.